Whether you're a worker who is injured on the job or an innocent bystander who is the victim of an industrial work site accident of some kind, the team at Gary A. Zucker & Associates, P.C. is here for you. Based in Brooklyn and serving the greater New York City area, our construction accident attorneys will fight for injury victims to ensure they receive just compensation. 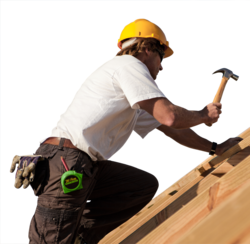 Some of the most common kinds of injuries at construction sites involve major falls. This topic we'd like to explore in brief detail right now. One of the most commonly violated OSHA safety standards involves basic fall protection. This is unfortunate since falls from roofs and other high places at construction sites and work sites can be very serious. When a worker falls from a major height, this can lead to severe injuries and even death. Even if a worker survives the fall, his or her life may be changed forever. Quadruplegia and paraplegia are both potential injuries. This means a life confined to a wheelchair and sometimes the need for constant medical monitoring and assistance. Loss of limbs and severe brain and head trauma are also possibilities. While workers at a construction site are often seriously injured in a fall, the same can be true for bystanders or passersby who happen to be near the construction site during a tragic fall. In these cases, the injuries can be especially serious for the bystander, who lacks a hard hat or any protective wear and will have to bear the full weight and force of the impact. It's important that managers of work sites, whether it's a private residence or a large building in the city, take great care to ensure the safety of employees and pedestrians. Safety lines and proper work attire should be in place when workers are doing jobs in high places. It's also a good idea for a second worker to be present to help look out for any hazards on the roof or ledge. Any ladders, scaffolds, or other systems used to access the roof should be secured as well since these can contribute to a fall. To safeguard pedestrians and passerby, it's important that work crews clear an area from foot traffic save for authorized work personnel. This prevents bystanders from potentially being harmed by any potential falls or other accidents. If you or someone that you love has been injured as a result of a major fall at a construction site, it's imperative that you contact Gary A. Zucker & Associates, P.C. today. During your consultation with our attorneys, we will discuss all of the circumstances of your case to craft the best possible legal case.